CES automotive offer a wide range of van and car alarms and immobilisers suitable for fitting in all vehicles. 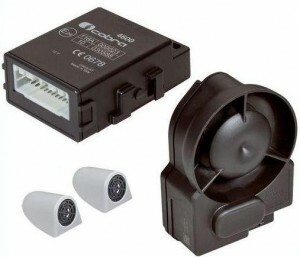 We fit car alarms that can be operated by the original remote control supplied with your vehicle. Alternatively if you do not have an existing remote control then we can supply and fit a car alarm that operates from its own remote fob. Why choose a car alarm system? Most people believe that their vehicle is fitted with an alarm system because they have remote central door locking. Sadly this not the case, your remote control just operates the door locks, it provides convenience but no security. The modern day opportunist thief knows that your vehicle is not fitted with an alarm system and is an easy target. It is fact that although car manufacturers try to reduce the number of cars being stolen on a yearly basis they do not take the same approach to theft from cars or vans. Aswell as the opportunistic thief there are of course the professionals. The professional has access to technology that can replicate or ‘clone‘ the vehicles keys either wirelessly or via the vehicles OBD port. This equipment is now available on the open market and is responsible for a huge rise in thefts. All vehicles are at risk but Range Rover, BMW, Mercedes, Ford Focus and Vauxhall VXR’s seem to be the most popularto steal. The solution is to have an alarm system fitted that remains active and keeps the vehicle immobilised even when presented with a cloned key. Van drivers think, how much are your tools worth? Could you afford to be without them? How much would they cost to replace? 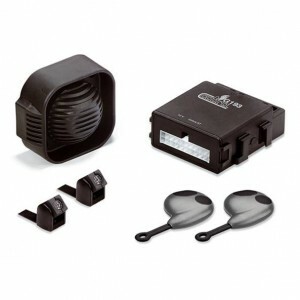 Specialists in van alarm fitting and installation. 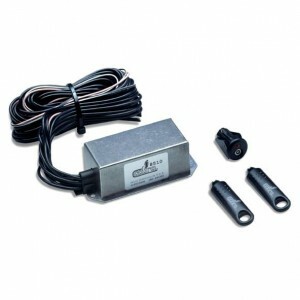 The Cobra G193 is a reliable alarm system manufactured to the highest standard, this alarm system comprises of a small compact siren which provides for a neat installation even in the tightest of engine bays. Operation of the system is via remote control, 2 of which are supplied with the system, on arming and disarming the vehicles central door will also operate. The G193 provides total protection for your car or van monitoring doors, boot, and bonnet along with ultrasonics for interior movement detection. Fitted to the highest standard we make your vehicle as secure as possible giving you the peace of mind that your car or van is fully protected. The Cobra 4615 is a versatile Thatcham insurance approved alarm system which offers total flexibility during fitting which allows for installation to any vehicle be it car or van. Unlike a regular alarm this system links to the vehicles Can Bus network which allows for the system to be operated from the vehicles original remote key. As you would expect this system protects all points of entry into the vehicle, doors, boot, bonnet and glass using ultrasonic technology. In the event of a break in the wireless siren will trigger at 120db attracting unwanted attention to the theft. With the Cobra ADR system not only is your vehicle protected by the highly advanced Cobra 4615 alarm system it will also stay protected even if the vehicles key is cloned. Taking the fight to 21st century car crime is the Cobra 4615 ADR. This unique system is installed as per the standard 4615 with the addition of an ADR card. When the vehicle is unlocked the 4615 looks for the ADR card, if the card is not present the system will not disarm, this keeps your vehicle fully protected even when presented with a cloned key. The stealing of high value cars such as Audi, Range Rover, BMW, Land Rover and Mercedes using cloned keys with readily available key cloning equipment has increased dramatically in the past few years. This increase has not gone unnoticed with the BBC featuring the new way cars are stolen on its Watchdog program. 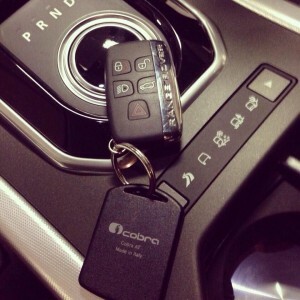 Featuring 2 circuits of immobilisation the Cobra A8510 immobiliser is designed to stop you vehicle being stolen. Operated by touch key this insurance approved Thatcham Category 2 security system automatically turns itself on when you leave the vehicle meaning your vehicle will always be protected. Contact sales@carelectricalspecialist.co.uk or call 07815 747360.